Last week was a 4 day week. Price traded in a trading range(orange range). Had a failed break out(BO) on friday. 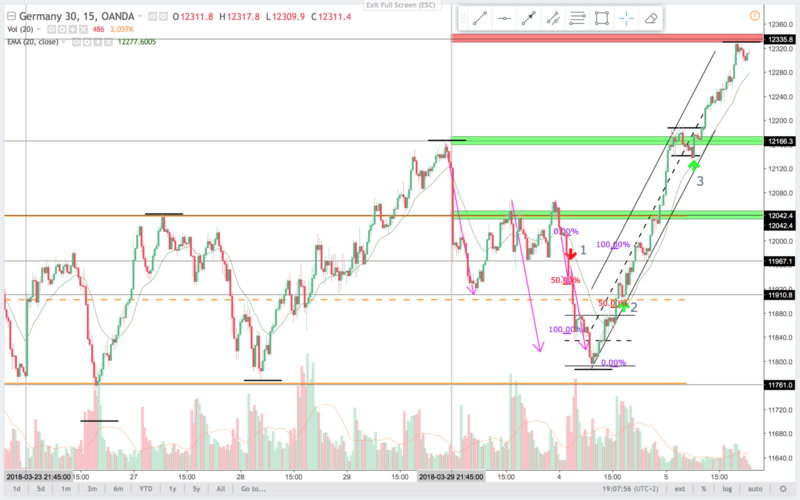 A two legged move(Purple arrows) back into the TR. There was a inverted head and shoulders pattern. It was a higher low compared to lows last week(black lines show the lows getting higher). This is a sign, that price might break to the upside. Also the highs was getting higher. Now we had a three push pattern into resistance at 12.335. Strong bull BO after a TR. 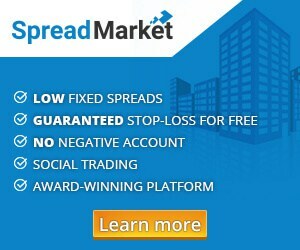 Price is always in long, and I will look to swing longs and scalp shorts. On the chart below the bull trend line is clear and notice the 100% expansion of the bull trend channel. The head and shoulders pattern formed in the lower TR. The push down ended at a 100% expansion, and the measured move was overshot a bit. 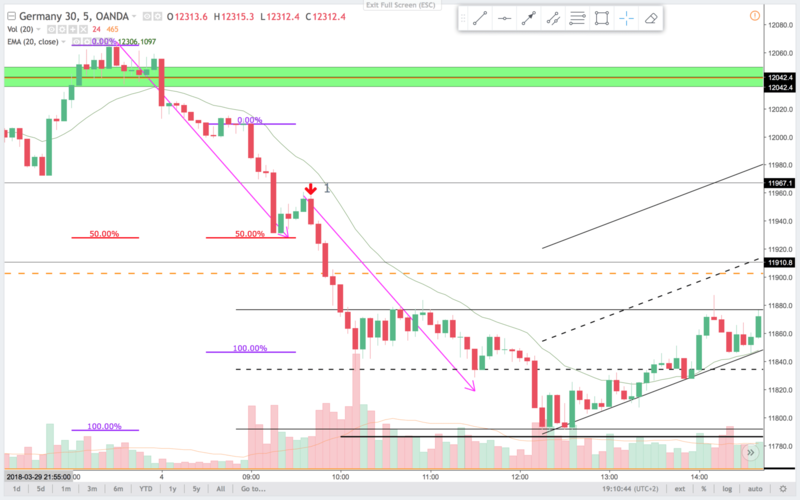 15 and 5 min chart and trade 1. 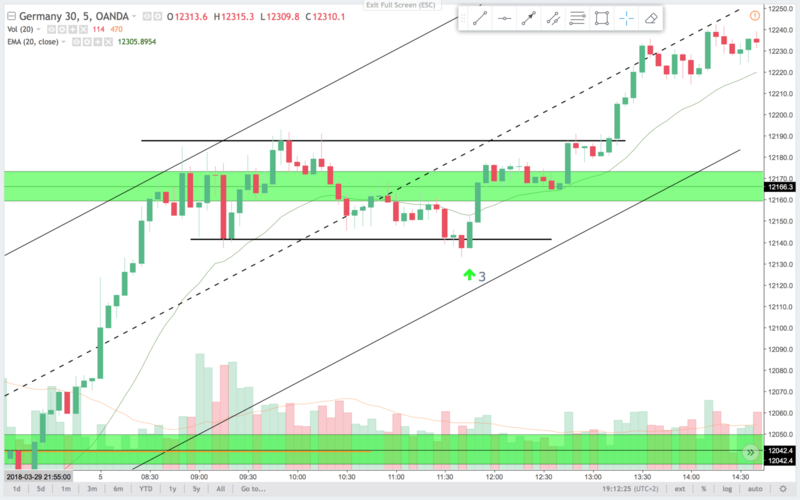 On the 15 min chart it is a open bear inside bar. Good for a bear spike sell below any bar. There was a chance that the BO would fail. But being the open and following the selloff from monday, I like to risk it. On the 5 min chart it is a strong bear bar after a small two legged push up. Also it was a break out pull back sell signal. On the 15 min chart this is the break out pull back long on the head and shoulders pattern. On the 5 min chart it is a two legged measured move correction and a failed break lower. The signal bar could have been better, and the bars The inside up bar was a good signal bar, but a the bars to the left was overlapping. This made the trade a bit more questionable to me. On the 15 min chart this was a bull flag after a bull spike. I expect a retest of buying strength. 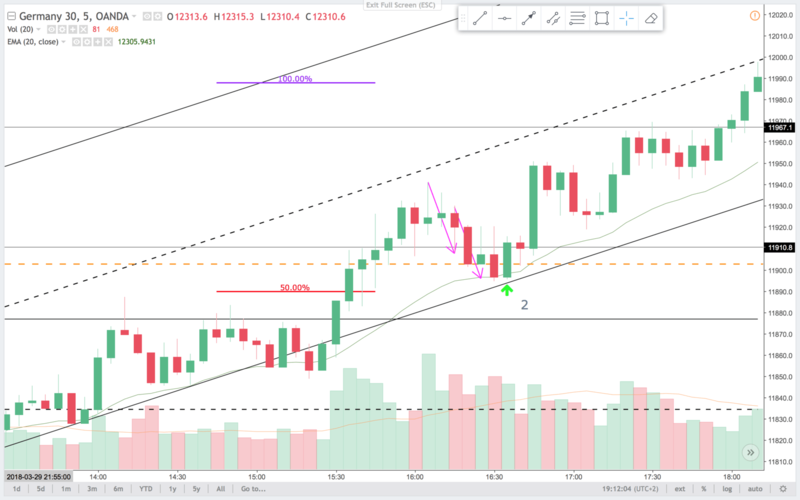 The signal bar on the 15 min chart is near the high, better to get in on the 5 min chart. On the 5 min chart it is the low of a TR. Failed break lower of minor TR also. Since the open price had traded sideways, and with TR price action. Often at noon there is a directional move in the DAX. This could be it. Nice risk reward, and a chance of nice runners on this trade. 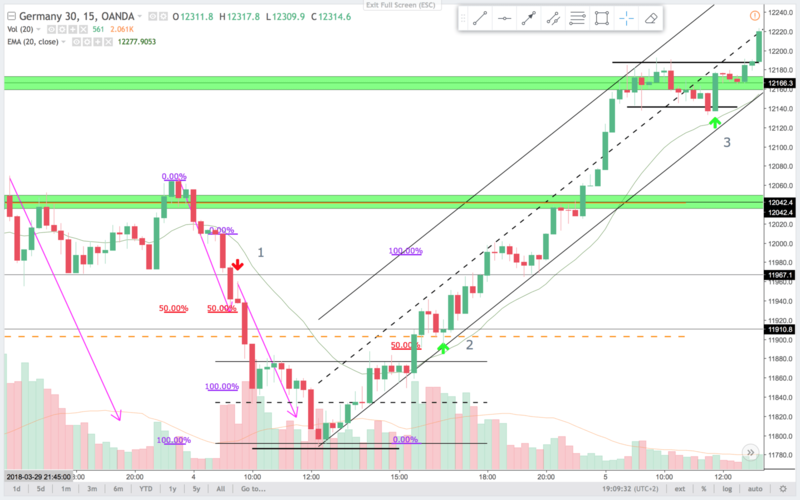 Like on trade 3, the smaller “nested” patterns in the higher time frame context, there is opportunities to get 15 min time frame reward chance, and 5 min time frame risk.